Erin plays oboe with her middle school advanced band. This is the last concert of her middle school “career.” High School marching band, here we come. 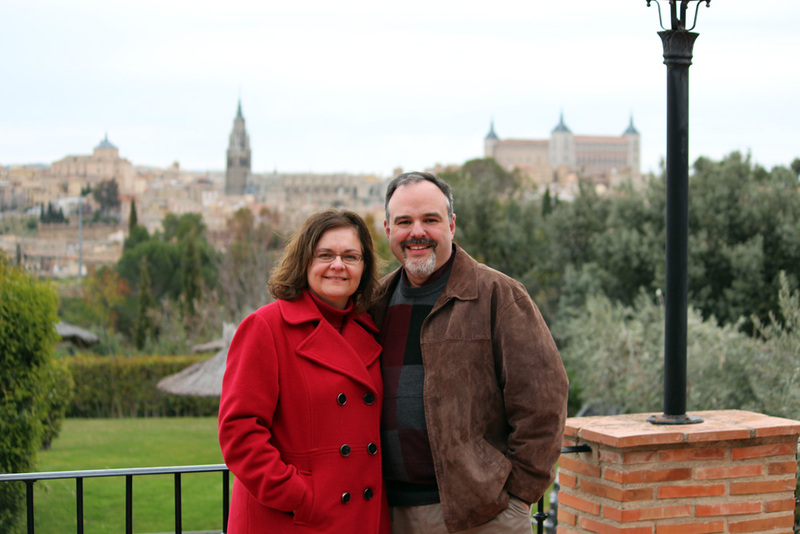 Download our May prayer letter for recaps focused on our recent ministry trip to Spain. For ten days in March, we saw everything from first century Roman ruins to a 13th century monastery to 21st century urban development. 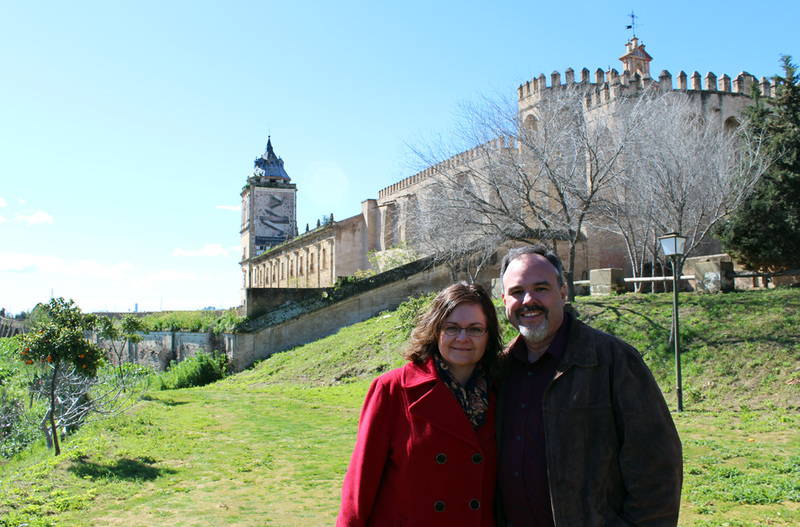 We also spent a great deal of time connecting with more than a dozen Camino missionaries serving in a variety of roles across the Iberian Peninsula. 13 century Monastery of San Isidoro del Campo (Saint Isodore the farmer), in Santiponce, Spain, outskirts of Sevilla. Urbana 2012 changed lives. Hundreds, even thousands, of university students from across North America responded to “the Great Invitation”, a challenge to live a missional life. I had the privilege of taking a team of 9 Camino missionaries and staff to exhibit at Urbana. 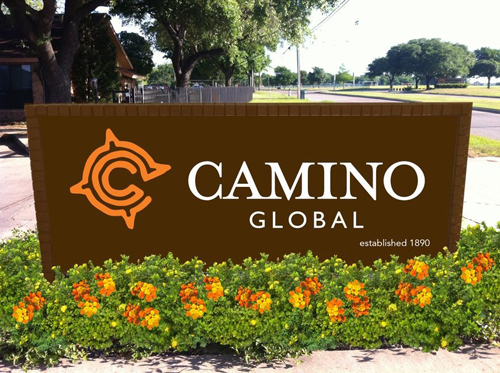 During the 5-day event, God gave us the privilege of connecting meaningfully with 365 students that are interested in exploring opportunities for short, mid or long-term service with Camino Global. Urbana is a mega missions conference that takes place every three years in St. Louis during the last week of the year. Sandwiched between Christmas and New Years’ Day, with a closing ceremony that goes past midnight on New Years’ Eve, Urbana always falls during our wedding anniversary (December 30th). In 23 years of marriage, I have only missed our anniversary two times, and both of them were because I was at Urbana. The Urbana conference has been challenging students toward mission service since 1948. It was fun to learn today that all the work we did with Radiant on the new Camino website resulted in an award for design. Read about it here. 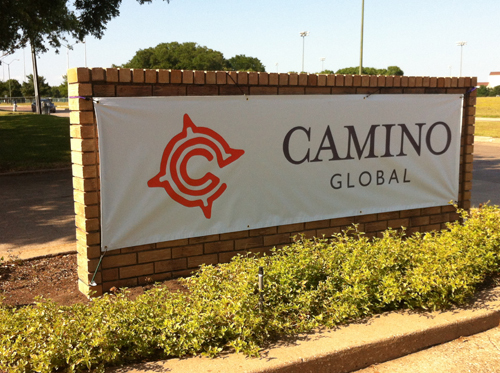 Approximately 22 months after formally beginning the process to rebrand CAM International (122 years old this year), Camino Global launched this past Monday, May 21st. Approximately 50 people attended the Camino launch party in “The Gathering Place”, also known as the mission home living room at our Dallas home office. 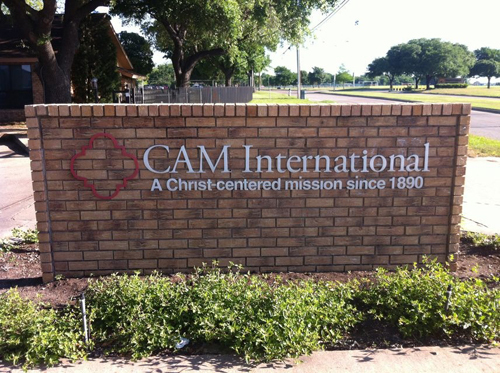 We spent a season of prayer expressing gratitude for CAM’s legacy and God’s work through the mission for more than a century, as well as a time of prayer focused on seeking God’s direction for the future of the mission under a new name. Current and former staff and missionaries, including two former presidents of CAM International, joined in the celebration. Click on image for larger version. While CAM officially became Camino on Monday, there are still about two more months to go for the final phases of launch to be complete. Emails addresses for missionaries and staff will change next weekend, and our new website will launch on July 18 during Convocation 2012. See also: Launch Party @ the “Introducing Camino Global” Blog. 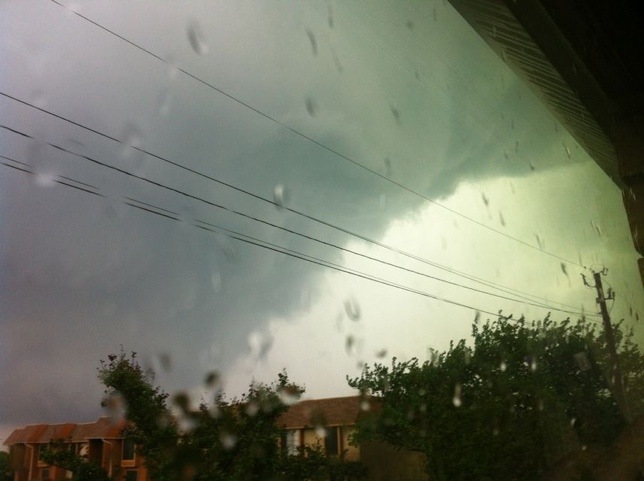 The Dallas area was hit with 13 tornado touchdowns Tuesday afternoon, right as the school day was ending. Lori had already picked up Evan and made it to Erin’s school. 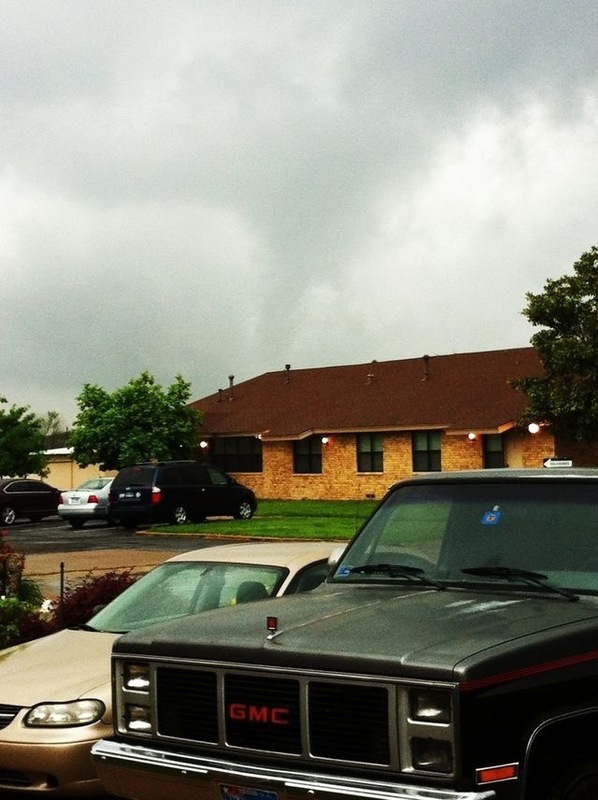 Rather than picking up Erin, they went in and hunkered down while an EF3 tornado formed directly over the school (the one that hammered Forney a few minutes later). 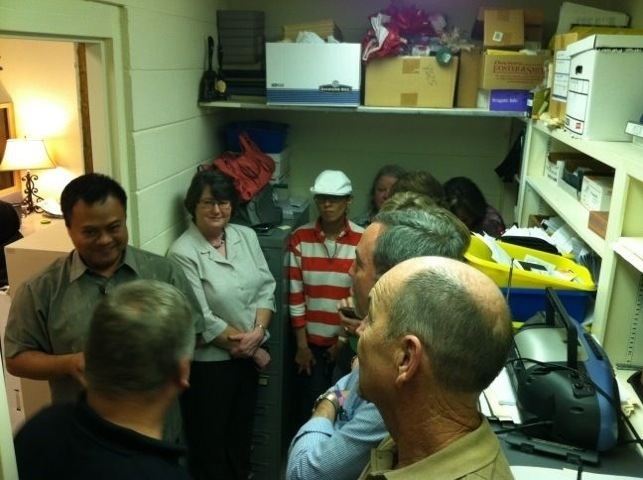 Nathan’s school was also on lock down, and Phil huddled in “the vault” at CAM Center with the CAM staff. By God’s grace, no one in Dallas lost their life. 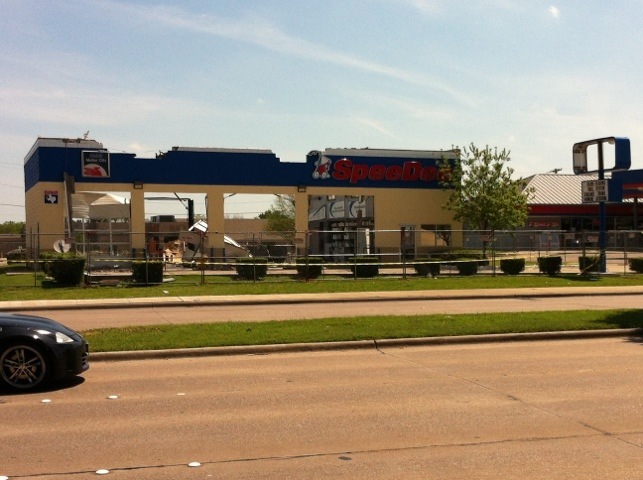 looking southwest from CAM Center. 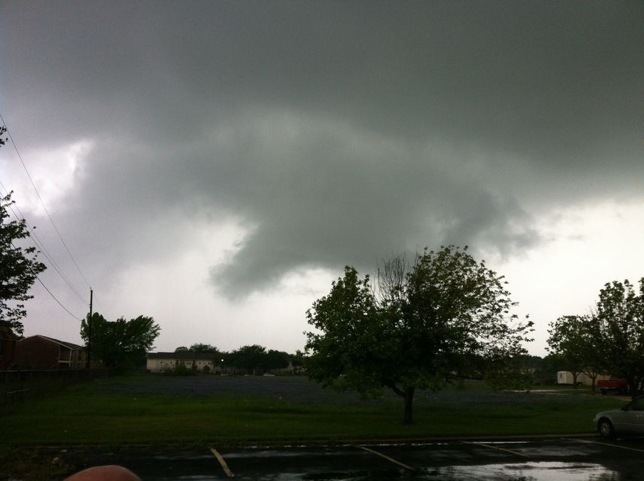 Tornado traveling north-northeast. 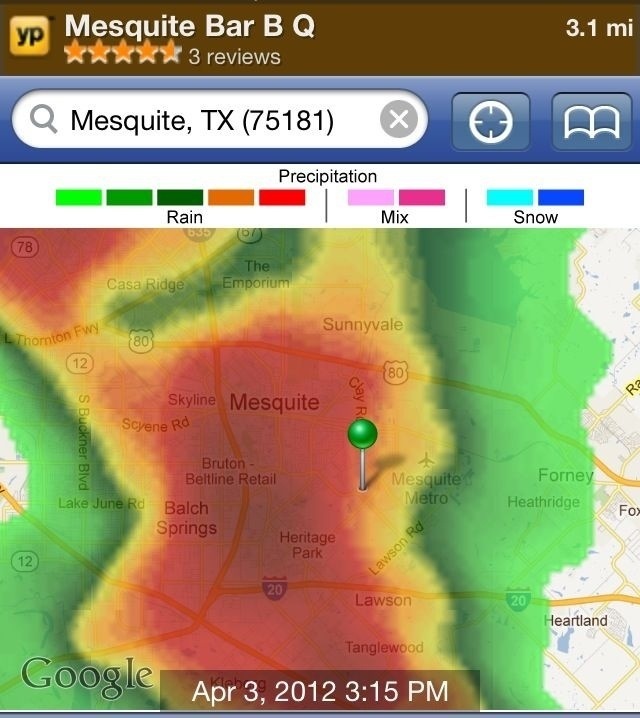 The world is about to end, but we still have to have our Mesquite Bar B.Q. advertisement!! 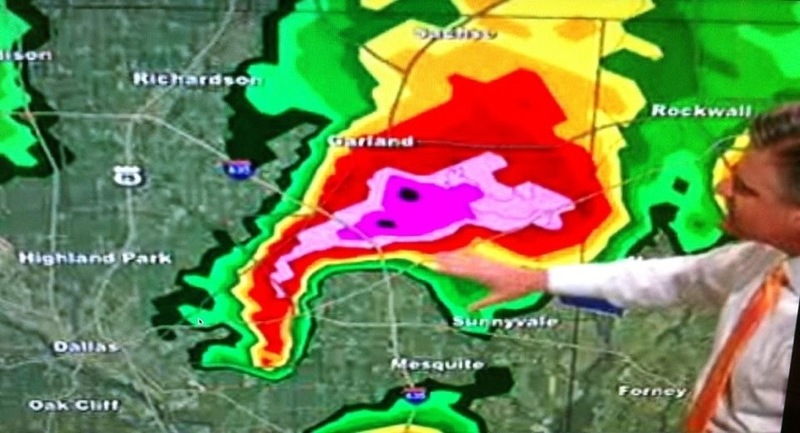 A "hook echo" directly over CAM Center. CAM staff huddle in "the vault"
At 12:44pm, Phil was at the SpeeDee oil change getting an oil change for Lori's van. 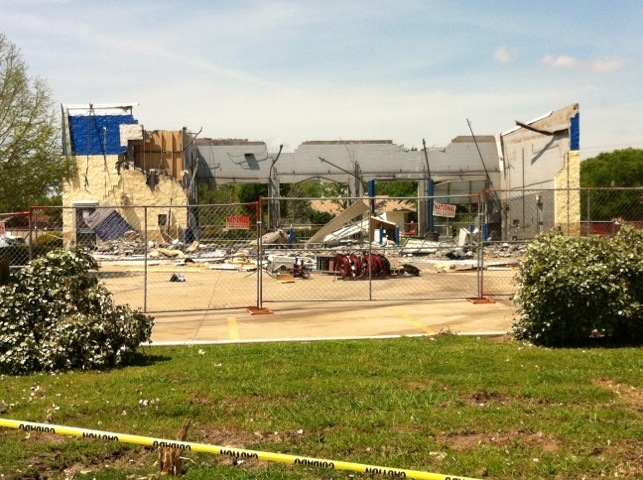 2 hours later the building was destroyed. 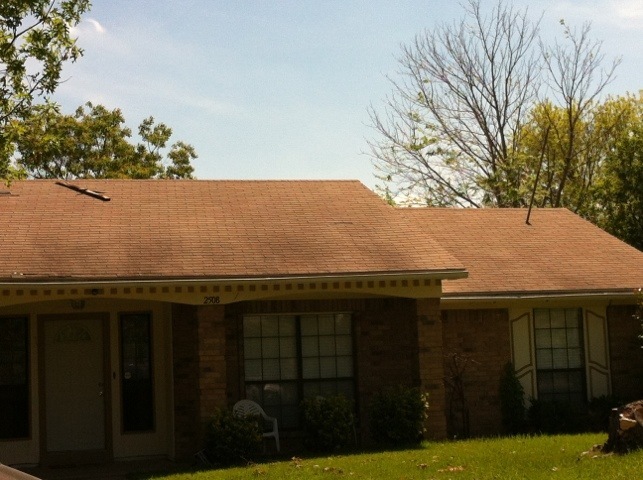 Forney, TX is adjacent to Mesquite, just to the east. 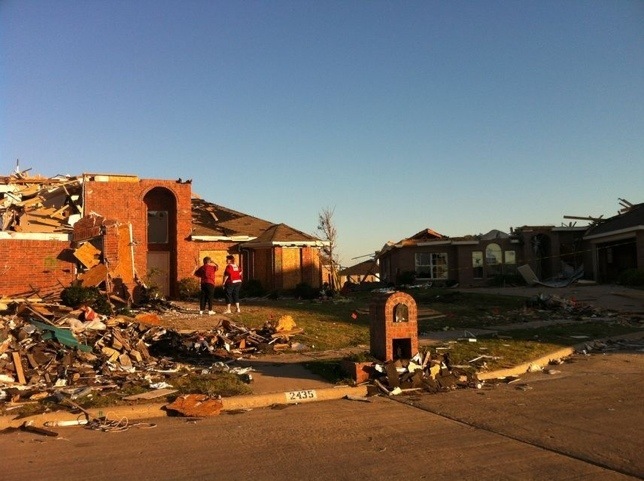 The Buhler family, good friends of ours, live a half mile from this house and dozens of others that were destroyed by an EF3 tornado. 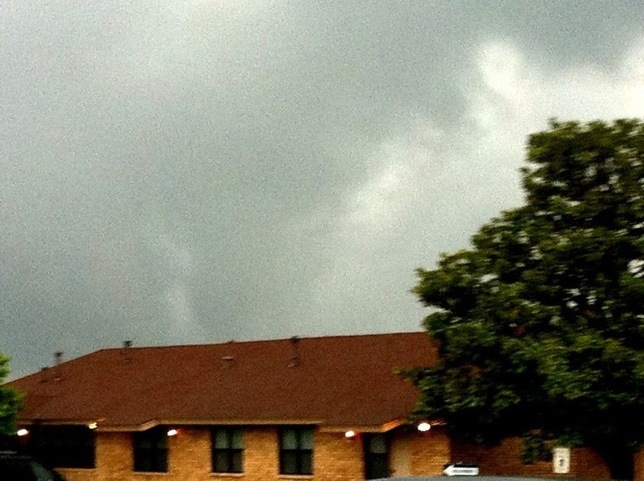 This is the tornado that formed directly over Terry Middle School in Mesquite (Erin's school, which was mentioned by name on the news). 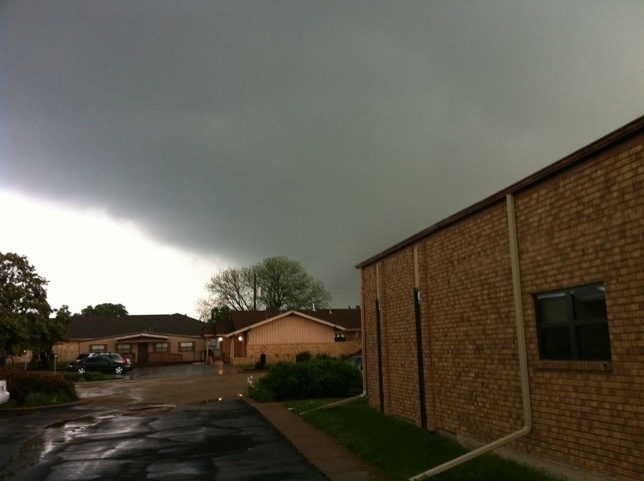 It touched down just a few minutes later and only a couple of miles to the east. This all happened right at the end of the school day, creating chaos for both students trying to leave their buildings, and parents trying to pick them up. Lori and Evan made it in to Erin's school in time to hunker down while the storm passed. 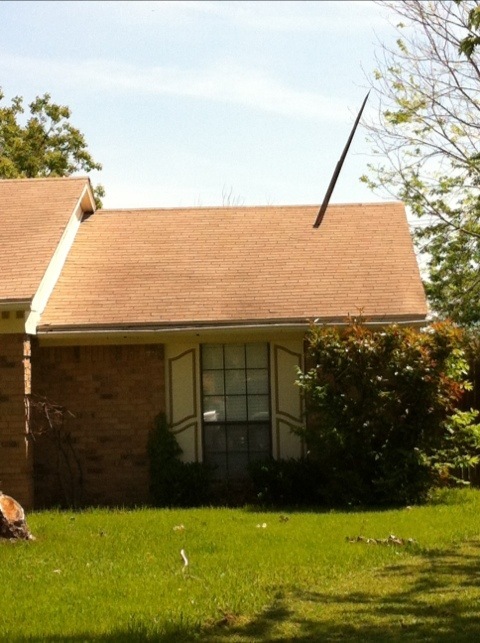 While this house is largely unscathed, a piece of flying debris ended up impaled in its roof.